Like Norman Rockwell's famed ""Four Freedoms," my Symbols of Freedom celebrates foundational American values. The Department of Agriculture tower at the left symbolizes the Freedom from Want. 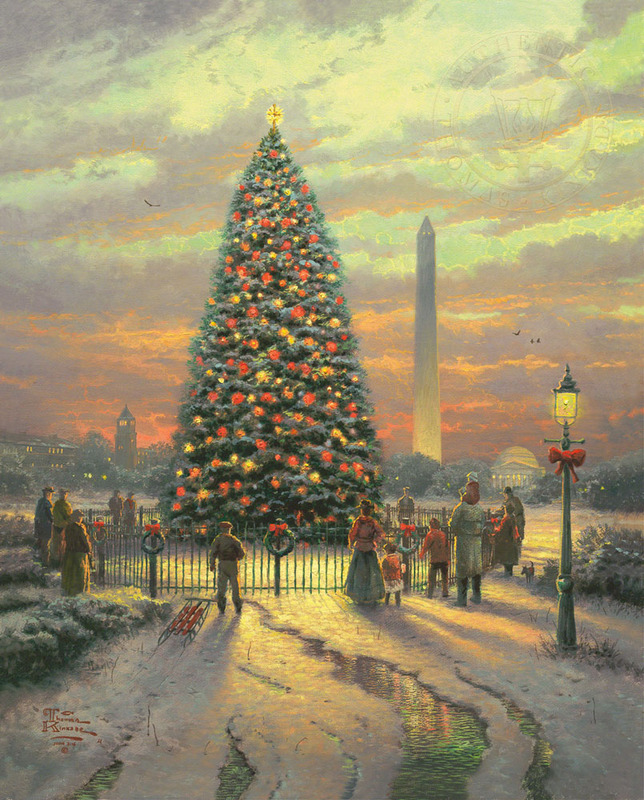 The national Christmas tree expresses the pageantry of the holidays, its glowing lights affirming the hope that burns in every heart through our individual Freedom of Religion. The severe obelisk of the Washington Monument represents for me the founding of our republic which provided Freedom from Fear by placing government on the side of the people. Finally, the cupola of the Jefferson memorial symbolizes our founding father's steadfast commitment to Free Speech. Illuminating these powerful symbols and touching the modest crowd is the glorious light of God's golden sunset.